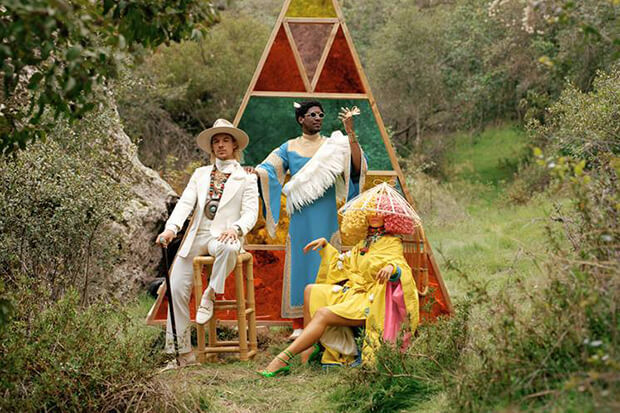 Labrinth, Sia and Diplo’s LSD side-project has been a constant source of joy since debuting with “Genius” in May. While that bop was something of an acquired taste, each new single has been more instant and accessible than the last. The trio perfected the formula on “Thunderclouds,” which ranks as one of 2018’s most slept-on singles. (How is it not a top 10 hit?) After soaring to those lofty heights, LSD takes a left turn on “Mountains” — an offbeat anthem that begins as a haunting ballad before transforming into a banger mid-song. “I’m definitely the third wheel in this project,” Diplo told Zane Lowe on Beats 1 earlier this morning (November 1). “I’m just here to kind of make sure things make sense, ’cause when you put Lab and Sia in a room, it’s like the craziest concoction of two people with the most intense attention deficit disorder with the most creative people I’ve ever met.” Interestingly, the super producer also let slip that LSD has recorded enough material for an album. Well, let’s celebrate that! Catch up on their already-impressive discography below.